Macofar, a Romaco brand, is a leading global provider and manufacturer specializing in filling systems primarily for sterile powders and granules in the pharmaceutical and cosmetics industries. Macofar aims for flexibility and user-efficiency in their products to ensure the best options for their markets. Macofar focuses on meeting and exceeding their consumers' expectations with advanced and innovative filling equipment solutions. EquipNet is constantly receiving used Macofar equipment through our exclusive contracts with our clients. 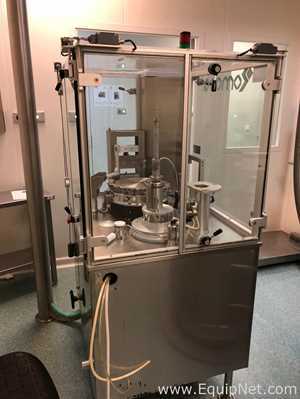 Our inventory of used Macofar equipment includes fillers, vial filling lines, accumulator rotary tables, encapsulation machines/capsule fillers and more. If you do not see the used Macofar equipment you are looking for, call one of our representatives and we'll find it for you. We can also source the right tooling and change parts that you need through our huge network of corporate clients from around the globe. Macofar manufactures a wide range of encapsulation machines that offer advanced technologies and leading innovations. 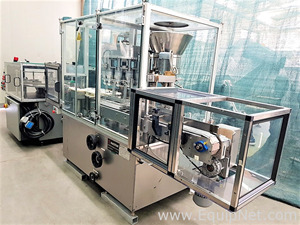 EquipNet carries a range of used Macofar equipment, including used Macofar encapsulation machines and more.